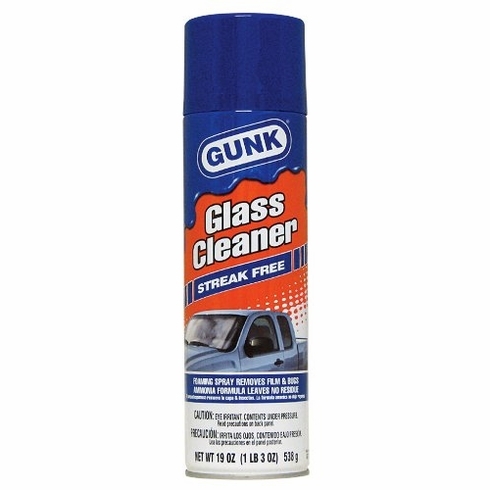 Home | Facility Safety | Janitorial Supplies / Food Service | Glass and Surface Cleaners | Gunk GC1 Streak Free Glass Cleaner - 19 oz. Radiator specialty's gunk glass cleaner with ammonia is a lot more than a simple glass cleaner. It's a multi-purpose spray with ammonia that allows you to handle all the glass-cleaning needs of your home, office, car or boat. The activated foam Clings to glass for instant cleaning action of windshields, all glass windows, mirrors, appliances, ceramic tile, chrome, stainless steel and aluminum. And with radiator specialty's gunk glass cleaner with ammonia, there's no streaking, running or film residue. As far as glass cleaning goes, it sounds like a win win to us.